To not be afraid to laugh at yourself (and often if needed!). Life is too short to take yourself too seriously, so enjoy the ride! To be kind and make everyone feel loved when they are with you. This is the biggest gift you can give someone else. To believe in yourself and to love YOU, just the way you are. Because girlie, you are made in His image and you are perfect! To know you can accomplish anything you put your mind to. Believe in yourself… We believe in you! 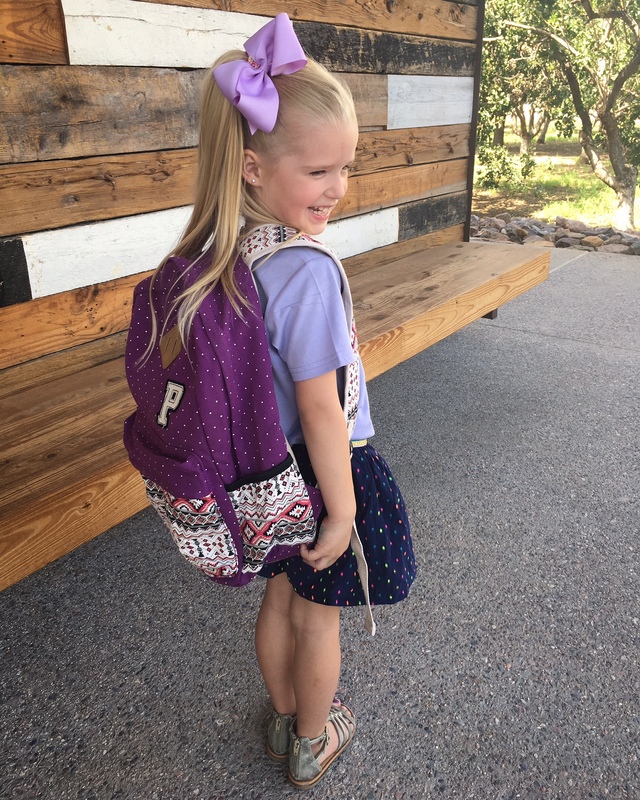 Okay little one, it is time… time for you to spread your wings and soar! I love you so much and I will always be your BIGGEST fan, supporter, encourager and one day… friend! 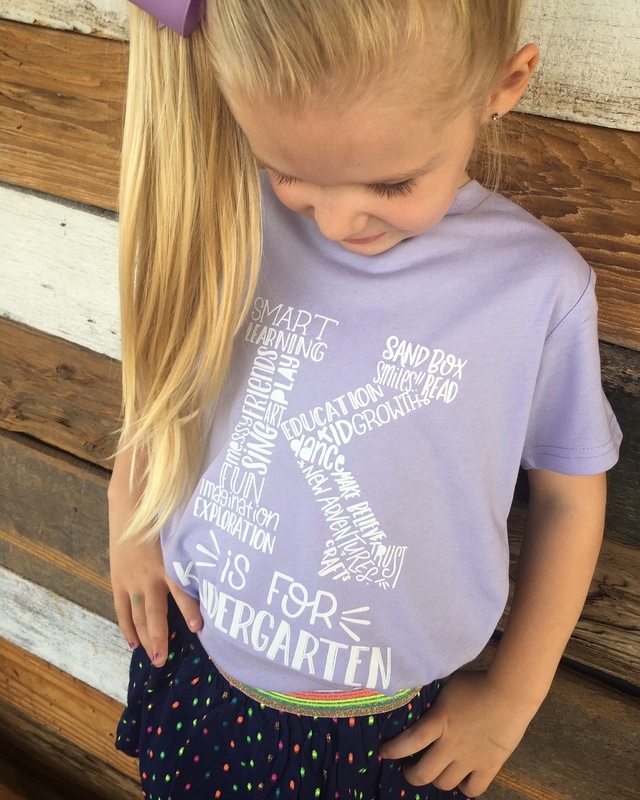 K is for Kindergarten tee is from the fabulous shop – The Blue Envelope. 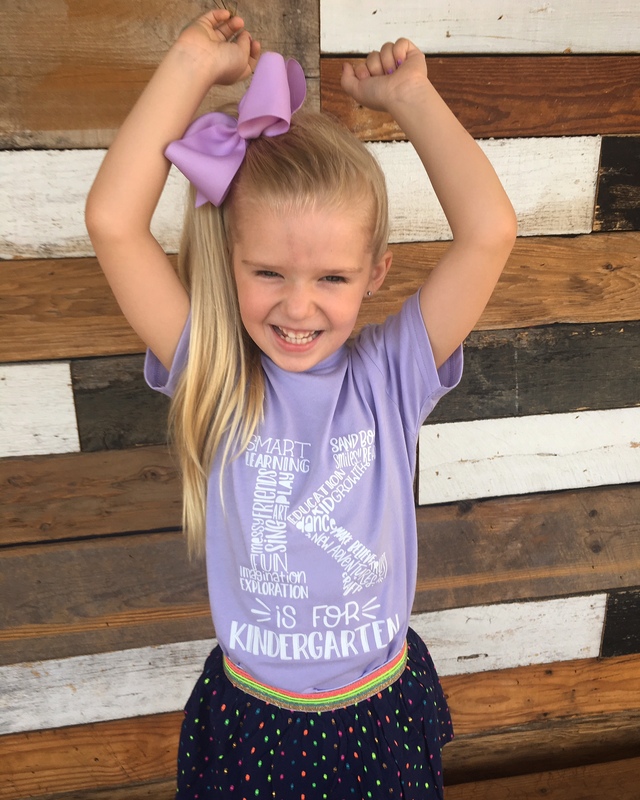 The Blue Envelope make tees inspired for kids and the ones who love them! Check out their tees HERE! 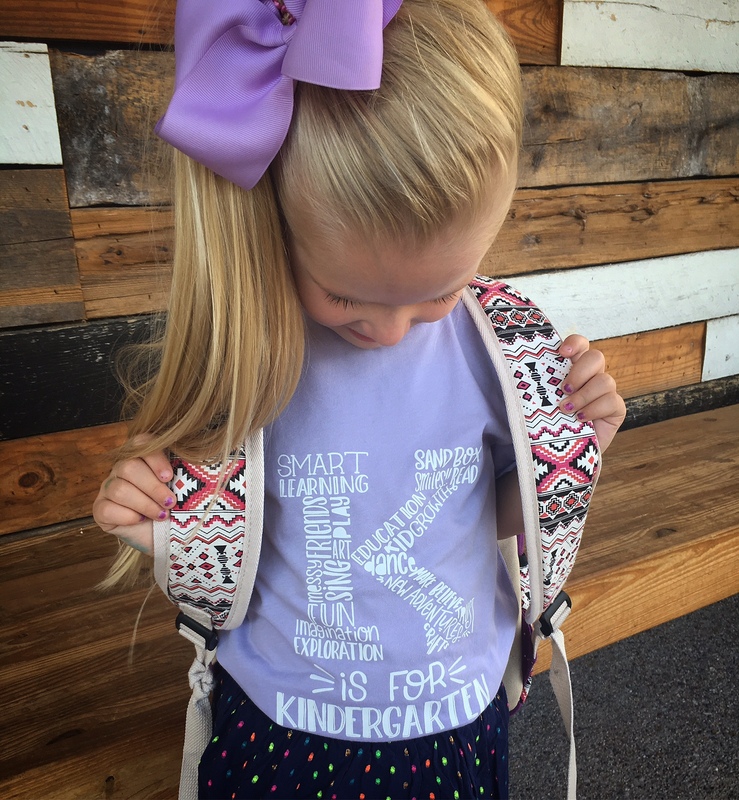 Sending love and well wishes to all the Mamas sending their littles off to school this year. awww mama I totally feel you on all of these wishes! Henry starts in August and I cannot believe it! Chanel – He will do great! With your love and support behind him, he will succeed! Congrats to you mama! That tee is so cute! And how is school already starting? Didn’t Summer just start yesterday?! That is what it feels like! We have a year round schedule so summer is always a little shorter over here. Love this! She’s going to do great mama, because she has you cheering her on! How was her first day? Thank you Kerry! This was the best comment, thank you for the encouragement and support! You are the best! Thank you girl! Our girls are growing up so fast!!!! 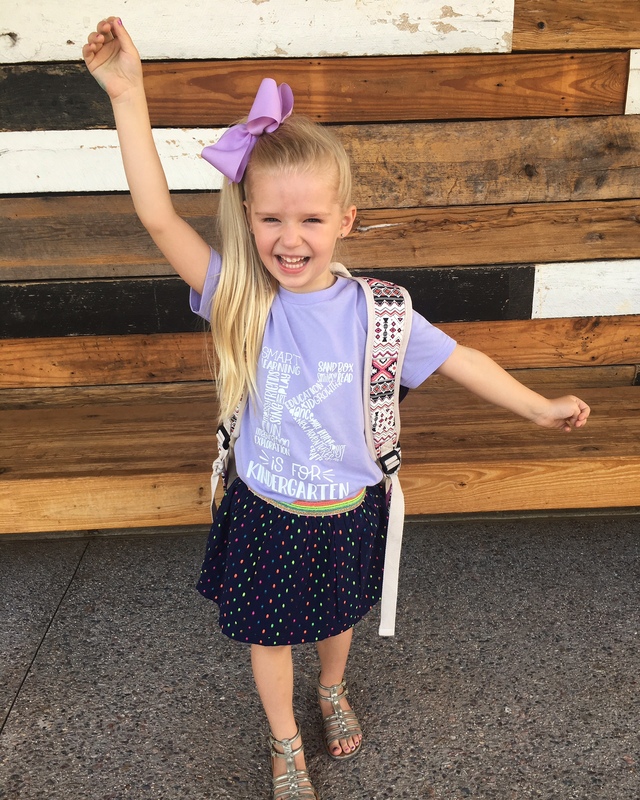 I cannot believe she’s off to K!!! She’s too cute, and I know she will love it! I know – time goes by so fast! She loved the first week so I am a happy mama! You totally made me cry with this one. My little guy is heading to kindergarten in a few weeks and I am having such a hard time with it! Jessica – Thank you for your vulnerability. I was really emotional thinking about it, but once the day comes… it all works itself out. Don’t get me wrong it is hard, but it is also great watching them grow into themselves! Sending love your way mama! This is so sweet! I love her tee!! They make the cutest tee options! Aww this is so sweet! My little girl started Pre-K today so I’m reading this at the perfect time! Yes! It is the perfect time! 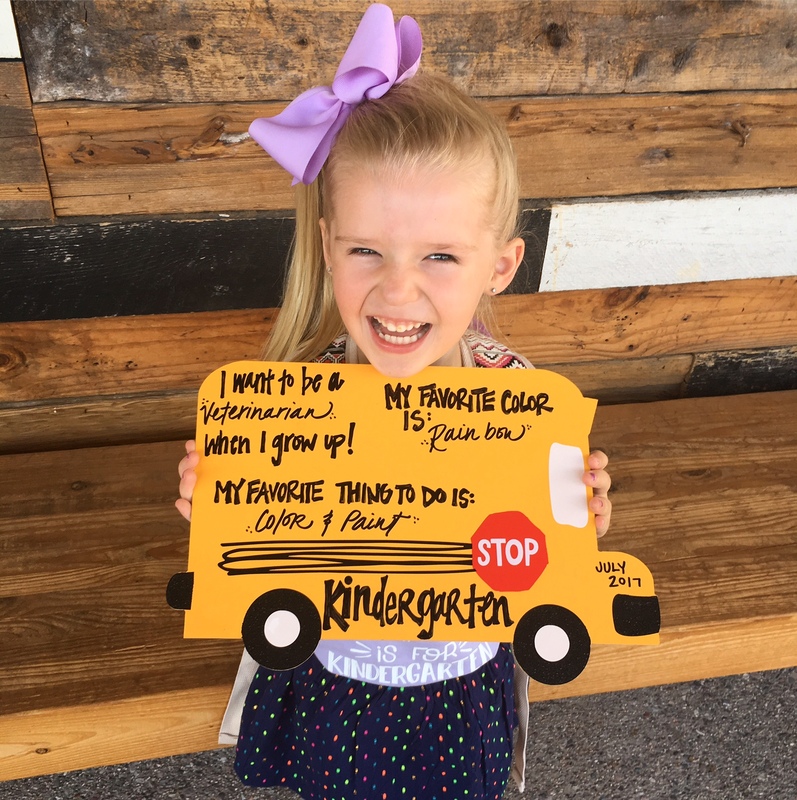 You will both love Pre-K, such a fun time! She is ADORABLE! How did it go??? Really good! No tears from either of us… but it is hard to see her go.